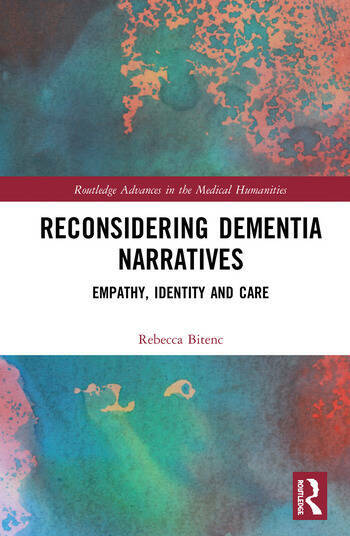 Reconsidering Dementia Narratives explores the role of narrative in developing new ways of understanding, interacting with, and caring for people with dementia. It asks how the stories we tell about dementia – in fiction, life writing and film – both reflect and shape the way we think about this important condition. Highlighting the need to attend to embodied and relational aspects of identity in dementia, the study further outlines ways in which narratives may contribute to dementia care, while disputing the idea that the modes of empathy fostered by narrative necessarily bring about more humane care practices. This cross-medial analysis represents an interdisciplinary approach to dementia narratives which range across auto/biography, graphic narrative, novel, film, documentary and collaborative storytelling practices. The book aims to clarify the limits and affordances of narrative, and narrative studies, in relation to an ethically driven medical humanities agenda through the use of case studies. Answering the key question of whether dementia narratives align with or run counter to the dominant discourse of dementia as ‘loss of self’, this innovative book will be of interest to anyone interested in dementia studies, ageing studies, narrative studies in health care, and critical medical humanities. Rebecca A. Bitenc completed her PhD on ‘Dementia Narratives in Contemporary Literature, Life-Writing and Film’ at Durham University, UK. Her research interests include critical medical humanities, narratology, and narrative ethics. She is a member of the Dementia and Cultural Narratives Network and the Northern Network for Medical Humanities Research. She has an M.A. in English, French and Psychology from Albert-Ludwigs-Universität, Germany.